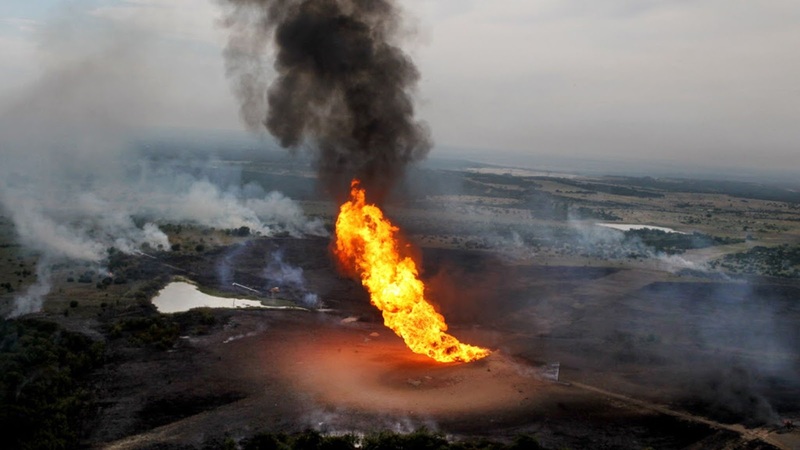 A militant group in Nigeria’s Niger Delta region, the Niger Delta Avengers (NDA), on Wednesday claimed it blew up Chevron Oil Well RMP 23 and RMP. The group said the attack on the facility occurred at about 3:44 a.m. Although the attack had not been confirmed by security agencies or Chevron, a tweet on the group’s Twitter handle read: “With the heavy presence of 100 Gunboats, 4 Warships and Jet Bombers NDA blew up Chevron Oil Well RMP 23 and RMP 24 3:44am this Morning”. According to the NDA, the attack was carried out to “show the whole world that Nigeria Military is good in harassing innocent Civilians”. It further explained in another tweet that RMP 24 and RMP 23 are Chevron Swamp Highest producing Wells. Militancy is resurging in Niger Delta, with the group claiming responsibility for most of the recent attacks on oil facilities in the region holding Nigeria’s oil wealth. The Niger Delta Avengers had last week said something big was coming, without giving details. The attack came weeks after President Muhammadu Buhari had promised oil companies carrying out mining activities in the region that the government had intensified efforts to end the attacks on their facilities.